THE DISTRICT SIX TRAVELER INFORMATION SERVICE PROVIDES DRIVERS WITH REAL-TIME TRAFFIC ALERTS TO HELP THEM AVOID DELAYS AND PROMOTE SAFER TRIPS. TRAVELER INFORMATION IS AN IMPORTANT TOOL IN OUR CONGESTION-MANAGEMENT TOOL BOX. Traffic operators at the SunGuide TMC collect continuous roadway data from traffic devices, partner agencies and incident management personnel on the field. FDOT also publishes traffic updates through social media platforms like Twitter and the WAZE mobile application to expand the reach of our traveler information efforts to the community. DISTRICT SIX IS COMMITTED TO OPERATING THE SYSTEMS THAT PROVIDE MOTORISTS WITH THIS SERVICE. The 511 Traveler Information System provides users with up-to-the-minute traffic alerts 24 hours per day, 7 days per week. 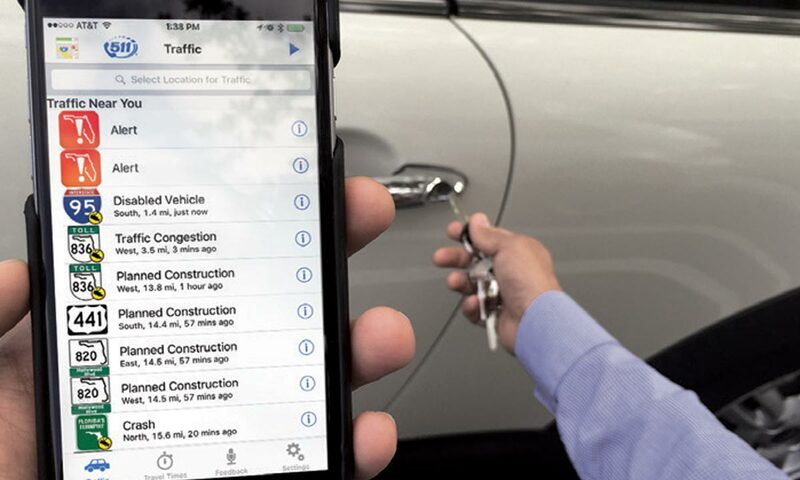 Users can access the services’ phone system, website, mobile application and twitter account to learn about traffic conditions and avoid delays. 511 offers users up-to-the minute reports on traffic conditions, travel times, construction events, links to other agencies and more. The system covers major highways in Florida and offers route-specific information to help motorists make informed travel decisions before leaving for their destination. Commuters can access 511 by dialing 5-1-1, login onto www.fl511.com, via Twitter or downloading the mobile application. 511 IS PART OF FLORIDA’S ADVANCED TRAVELER INFORMATION SYSTEM (FLATIS) PROGRAM THAT IS OPERATED UNDER THE SUNGUIDE SOFTWARE. FDOT uses social media as an additional publication tool in its traveler information toolbox. 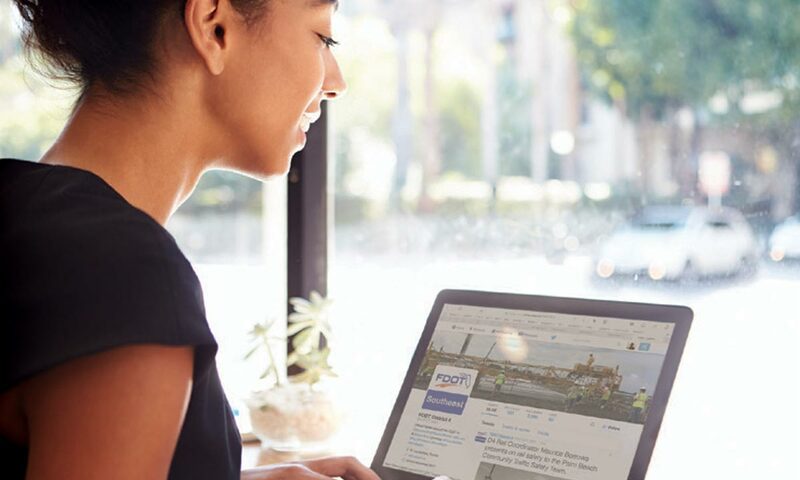 The agency uses several platforms to post both planned transportation events as well as real-time traffic conditions to help drivers make informed decisions about their trip planning choices. These platforms include Facebook, You Tube and Twitter. THE COMBINATION OF ALL THESE SERVICES ALONG WITH CONTINUOUS ENHANCEMENTS TO PROGRAM PROCEDURES IS HELPING TO IMPROVE THE MOBILITY AND SAFETY OF OUR TRANSPORTATION SYSTEM. 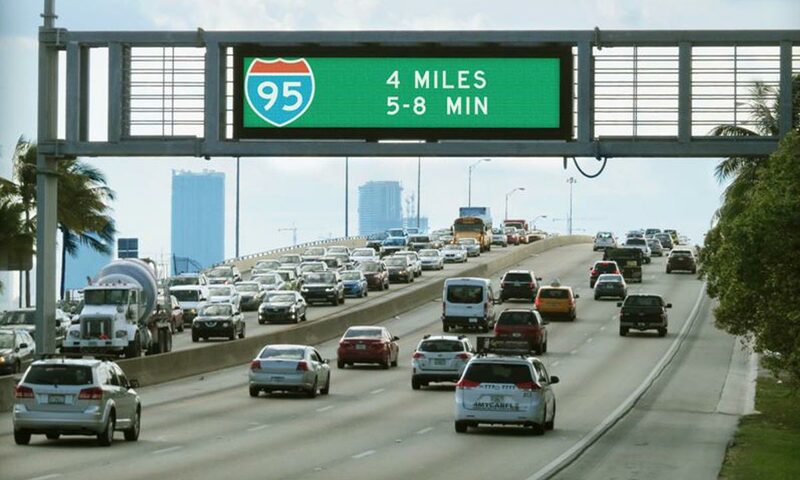 Dynamic Message Signs (DMS) are electronic signs located along highway and arterial roadways to inform drivers of real-time traffic conditions that may impact traffic. Traffic operators at the SunGuide Transportation Management Center update the signs with traffic alerts and safety campaigns to help drivers avoid delays and promote awareness. DMS provide drivers with valuable information 24 hours per day, 7 days per week. The SunGuide TMC is committed to managing and operating this service to optimize traffic conditions and help drivers get to where they need to go safer, and more efficiently. New Incident Management Videos Now Available! © Copyright 2018. 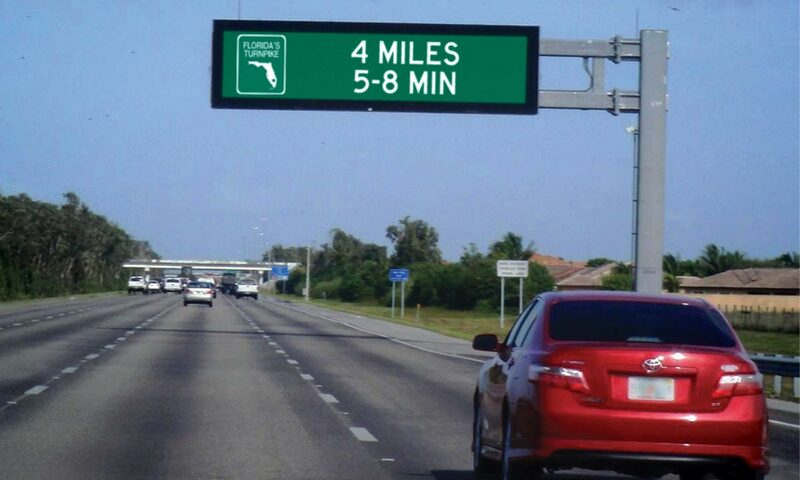 Florida Department of Transportation. All Rights Reserved.